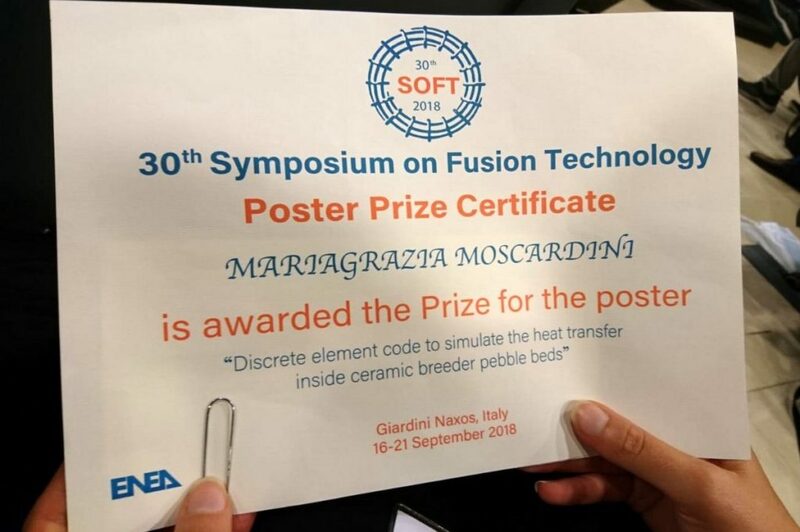 Mrs Marigrazia Moscardini won the poster prize at the 30th Symposium on Fusion Technology (SOFT 2018) held in Giardini Naxos (Messina, Sicily) for presenting a joint work between Karlsruhe Institute of Technology and The University of Sydney on fusion materials, with the title of “Discrete element code to simulate the heat transfer inside ceramic breeder pebble beds”. 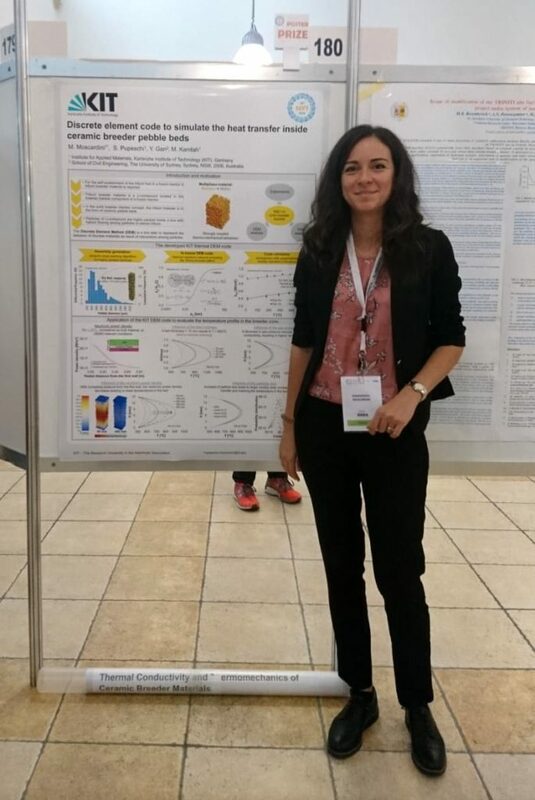 Mari was conducting part of the research while visiting our lab at The University of Sydney in 2015 and 2017. Mari, congratulations and good luck with your PhD defence in 1 month time. 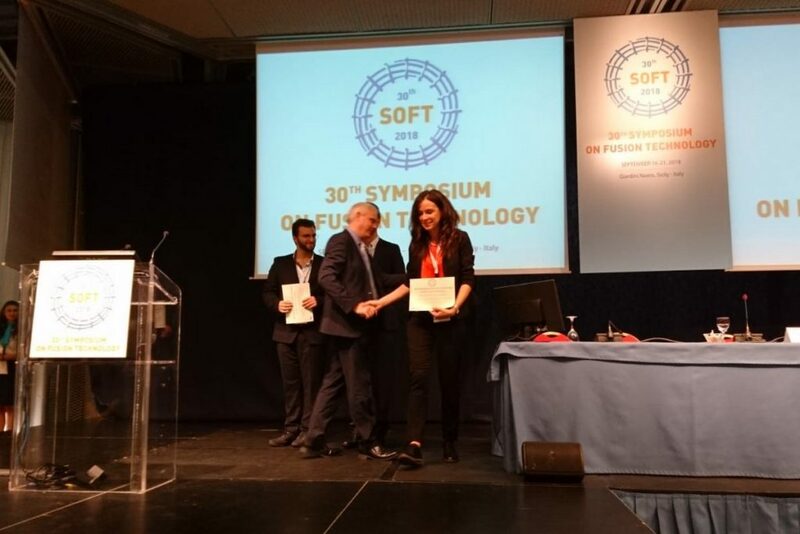 This entry was posted in News and tagged conferences, DEM, group members, nuclear fusion. Bookmark the permalink. Post a comment or leave a trackback: Trackback URL.